Our vision for eye care in Africa is a continent where all Africans can access high-quality eye care services provided by Africans for Africans. An estimated 180 million people worldwide are visually disabled; about 37 million of these are blind. 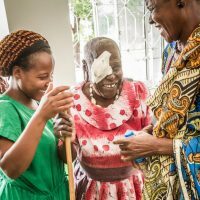 Nine out of ten live in developing countries where the loss of sight poses an enormous burden on the affected individuals and their families. In most settings, blind women outnumber blind men by about two to one. On a broader scale, this also represents a public health, social, and economic issue for the countries where these people live. 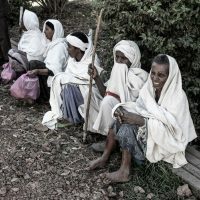 The good news is that 80% of global blindness is avoidable. It can be prevented or cured using technology and knowledge that is already available today. The challenge is to develop practical programmes locally which ensure patient access to quality care that is efficiently and effectively provided. 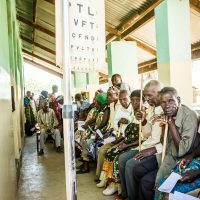 Created in 2001, the Kilimanjaro Centre for Community Ophthalmology works with local partners across Africa to design, implement and evaluate eye health programmes. from a variety of organizations and international agencies. the day to day at KCCO.